Nano aquariums can be extremely beautiful if done correctly. One would think that fish options for nano tanks are somewhat limited (which is true to an extent, of course), but there are actually tons of beautiful freshwater nano fish to choose from. 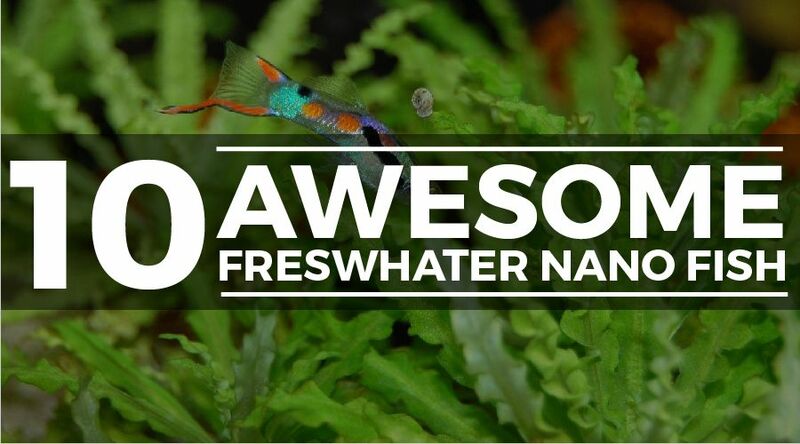 In this guide, we cover 10 small freshwater fish that are perfect for any nano aquarium (and go over all of their care needs). As one of the most popular species in fishkeeping, Bettas are prized for their awesome colors and hardy nature. Bettas are capable of surviving in small tanks and are relatively flexible when it comes to water conditions, making them a great choice for beginners. Despite what you may read online (or even hear from per store employees), Bettas should never be kept in small cups or bowls. 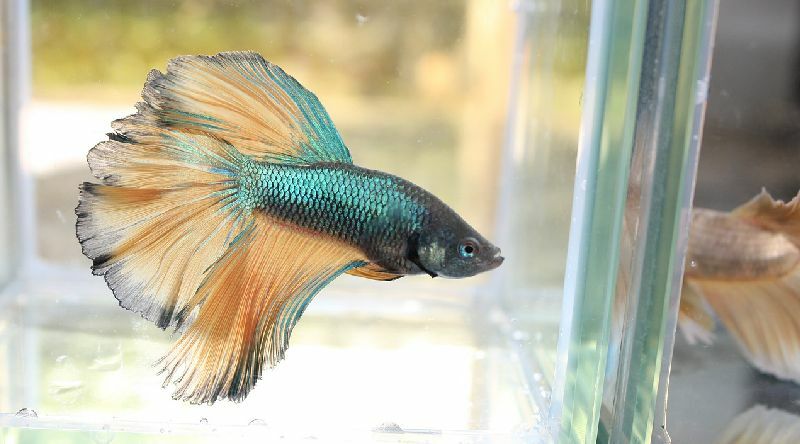 This unfortunate rumor is spread and supported by large pet store chains as a “marketing gimmick” to sell more Betta fish. In reality, Bettas should be kept in tanks of at least 5 gallons with a functioning heater and filter. Contrary to popular belief, Puffers are not only a saltwater species. Several types of Dwarf Puffers are actually native to freshwater environments and thrive in nano aquariums. Pea Puffers, for example, only grow to about an inch in length and can fit comfortably in a 5 gallon aquarium. That said, if you plan to house more than one puffer, you’re better off going with a 10+ gallon tank. 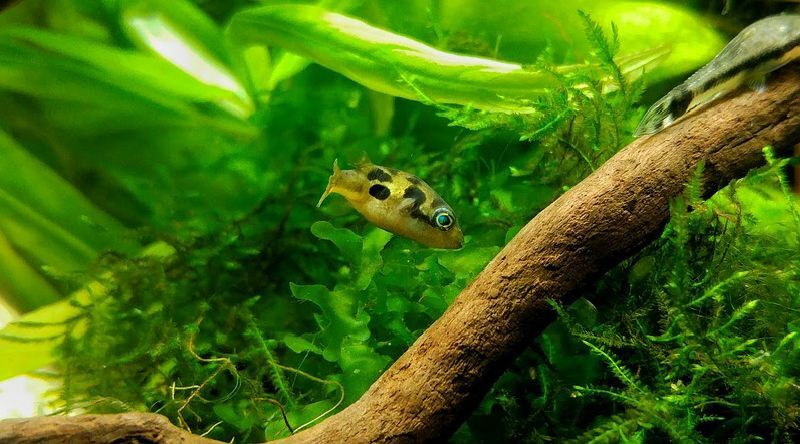 Pea Puffers do best in aquariums with plenty of live plants and hiding places – they are naturally very curious, so be sure to give them plenty of entertainment in the form of vegetation and driftwood. Puffers are a carnivorous species, so they require a steady supply meaty foods. In addition, the occasional feeding of live snails is highly recommended to keep your Puffer’s sharp teeth ground down. 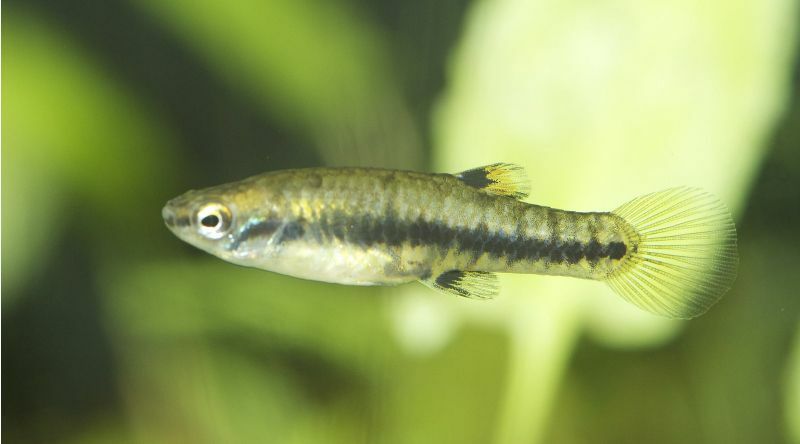 Danios come in all shapes and sizes – and the Celestial Pearl Danio is among the tiniest of the group. This small freshwater fish is strikingly colorful and interesting to watch, making it a favorite among nano aquarium owners. Since Celestial Pearl Danios (also known as CPDs) are naturally schooling fish, we recommend keeping them in groups of 4-6. Groups are fine in tanks as small as 5 gallons, through 10 gallons is recommended if possible (if you decide to go with a smaller tank, make sure to keep up with water changes). Celestial Pearl Danios are omnivores, so they do best with a mixture of plant-based and meat-based foods. That said, they usually aren’t picky eaters and enjoy flake foods, algae wafers, brine shrimp, and freeze dried blood worms. Overall, Celestial Pearl Danios definitely make one of the best freshwater nano fish out there. 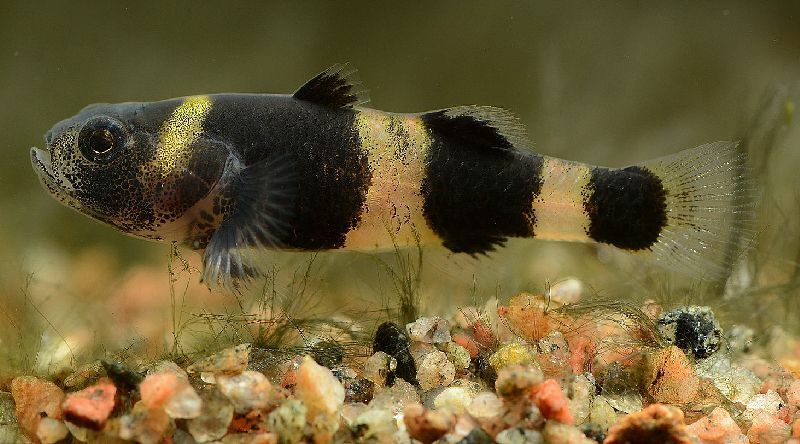 Bumblebee Gobies are one of the most unique species on our list considering they can be kept in both freshwater and brackish tanks. These zesty little fish only get to around 1.5 inches, but generally have very bold personalities. They are known to be territorial toward others of the same species, so be careful if housing more than one Bumblebee Goby in the same aquarium. Unlike most of the other species of our list, Bumblebee Gobies are not the most ferocious eaters. In community aquariums, they are often outcompeted for food – if you keep these Gobies with other fish, watch during feedings to make sure they’re getting enough food. Sparkling Gourami, also known as Pygmy Gourami, are the smallest species of the Gourami family and prized for their bright, iridescent colors. These lively little fish do best in small groups, so purchasing 3 or more fish is recommended. Sparkling Gourami are native to habitats with tons of natural foliage – they tend to be happiest in tanks with lot of plants and driftwood. In addition to providing tons of hiding places, plants tend enhance the colors of this beautiful little species. Pygmy Gouramis are an omnivorous species and do best on a mixed diet of plant-based and meat-based foods. Flakes mixed with a pinch of bloodworms will work wonder for their health and color. 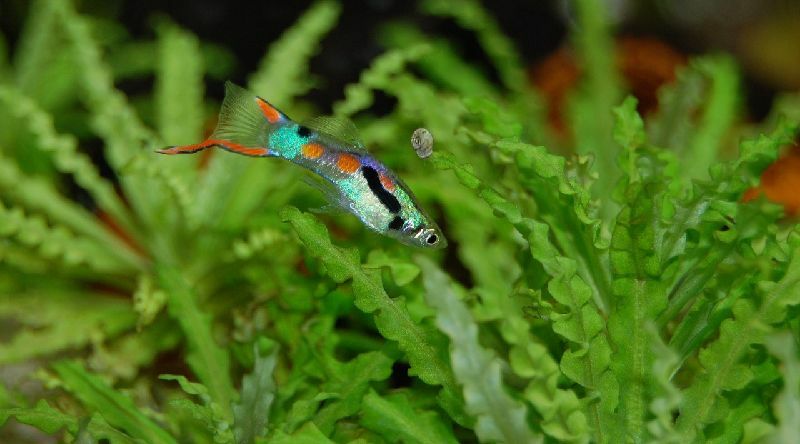 The Endler’s Livebearer is a small freshwater fish know for its bright, psychedelic patterns. Much like other livebearers, Endlers are know to breed regularly – be prepared for some offspring if you plan to keep this species. 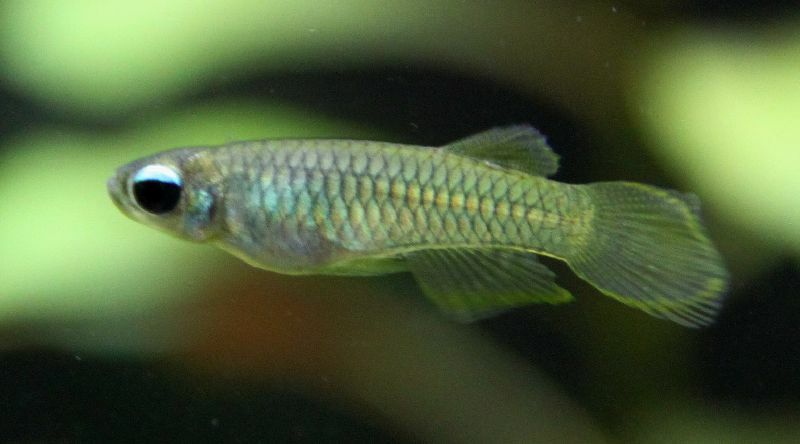 In addition to their awesome colors and breeding tendencies, Endler’s Livebearers are also known to be very easy to keep. They tend to be pretty accepting of different water conditions, which makes them a great choice for beginner or low maintenance tanks. As with most species on our list, Endlers are omnivorous – a simple mix diet of flake food and the occasional meaty snack will work well. The Least Killifish is a tiny freshwater fish found all over the Southeastern United States. Closely related to Guppies and Mollies, Least Killifish are not true “Killifish” – instead of laying eggs, they give birth to live young (and as livebearers, they tend to breed quite regularly in home aquariums). Least Killifish generally grow to about 1.5″ and are perfectly fine in nano aquarium as small as 3 gallons. They are very forgiving when it comes to water conditions and thrive in a wide range on environments. In you’re looking for an easy fish to add to your nano aquarium (and don’t mind their lack of color), these are a great choice! If you’re looking for a fish that can really thrive in nano aquariums, look no further – the Norman’s Lampeye Killifish is a small freshwater fish perfect for nano tanks. 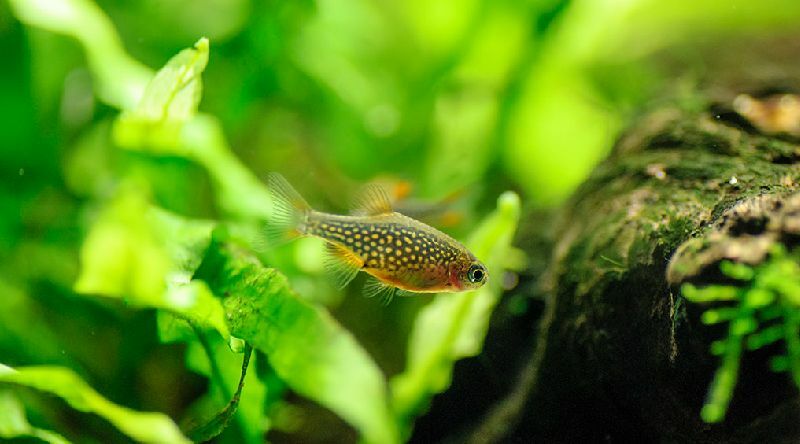 Known for their peaceful and resilient nature, Lampeyes tend to do well in different environments/water conditions and make a great choice for beginner aquarists. 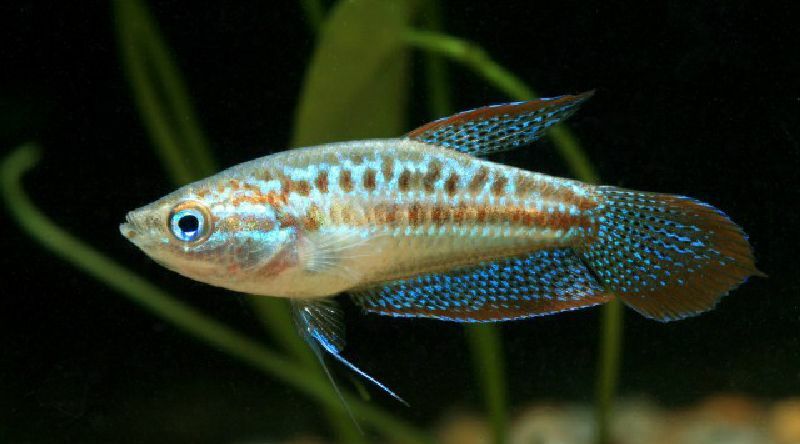 Lampeye Killifish prefer to be kept in groups of 3-5. Since they stay pretty small (usually around 1.5″ at max length), a small group can easily be kept in tanks as small as 5-10 gallons. Lampeyes do best in aquariums with plenty of live plants, so they make a great choice for those looking to set up a planted tank. I know I know…Crystal Red Shrimp aren’t technically a type of fish, but they make great nano aquarium inhabitants nonetheless. These tiny freshwater shrimp are beautiful, (relatively) easy to keep, and can thrive in tanks as small as 3-5 gallons. That said, Crystal Reds tend to end up as snacks if larger fish are present – if your want to keep shrimp, you should probably stick with a shrimp-only tank. Crystal Red Shrimp do best in aquariums with plenty of live plants and driftwood. In the right environment, CRS are known to reproduce quickly – luckily, a 5 gallon aquarium is capable of supporting a pretty large colony. In you’re looking for something a little different, Crystal Red Shrimp are hard to beat! 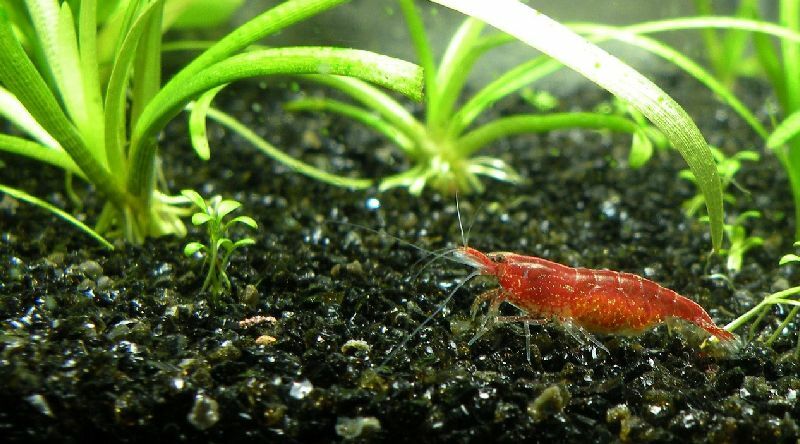 If you like the idea of setting up a shrimp tank, Red Cherry Shrimp are probably the easiest species you can pick. These little guys are pretty forgiving when it comes to water conditions (more so than Crystal Reds) and reproduce extremely quickly. 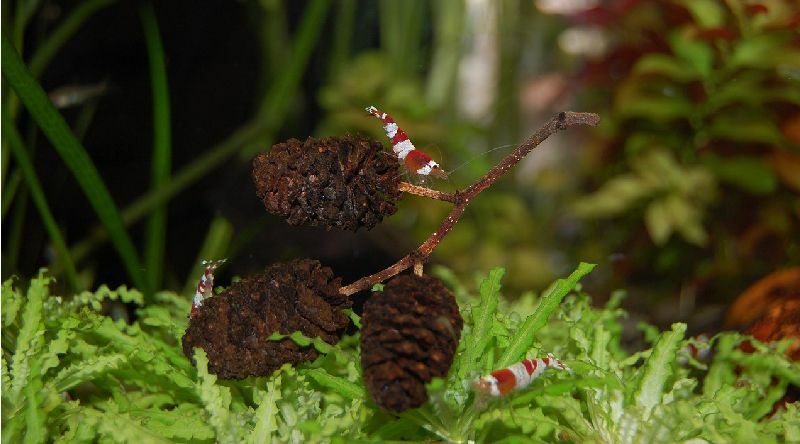 As with any type of dwarf shrimp, Red Cherry Shrimp shouldn’t be kept with fish (or they will probably end up as food). Luckily, RCS are pretty entertaining on their own and offer great contrast against green plants. Similarly with Crystal Reds, Cherry Shrimp love planted tanks with lots of hiding spots. The Fluval Spec V is well-known as one of the best nano aquariums on the market. This 5 gallon all-in-one tank comes stocked with just about all the equipment you need to get started, including a built in filtration system and a powerful LED light. In addition, the sleek look of this unit makes it an absolute showstopper. No matter what type of fish or shrimp you plan to keep, the Fluval Spec V is hard to beat. If you’re looking for something a little smaller than the 5 gallon Fluval Spec V, the Marineland Contour is probably your best best. The curved, one-piece glass construction gives the Contour a classy look that a lot of nano aquarium owners look. In addition, the small footprint of this tank allows you to place it virtually anywhere – perfect for your desk, office, or bedroom. A common misconception about nano aquariums is that they don’t need filters – people look at small tanks and think, “How much waste can these tiny fish really produce?”. In reality, nano tanks actually need filtration units more than larger tanks because water parameters are more susceptible to fluctuation. If you decided to go with something other than the all-in-one options above, you’re going to need a filtration unit. I recommend the Deep Blue Professional Nano Filter for tanks 5 gallons and under. It is powerful enough to offer great filtration, yet low profile enough to keep your tank looking sleek. Ahhh, the dreaded cycle – probably the least enjoyable part of owning an aquarium, but extremely important. For those of you that don’t know, cycling an aquarium is the process of building up colonies of beneficial bacteria that convert harmful fish waste into safer compounds. Without cycling your aquarium, ammonia levels will rise (and you will probably end up with dead fish). The cycling process can be a little complicated at first, so for the sake of keeping this article check out our cycling guide here. 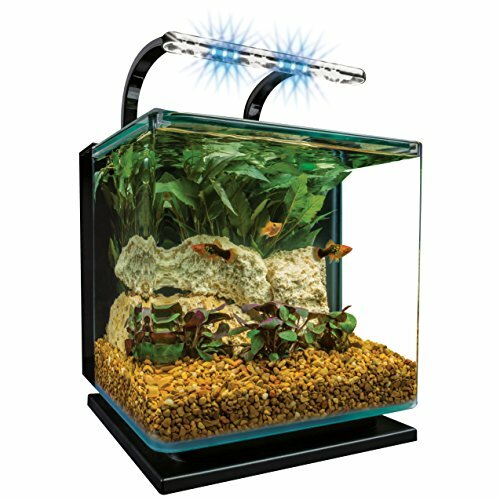 In order to keep your plants healthy, you’re going to need a planted aquarium light. Once again, you have a slight advantage if you decided to go with one of the all-in-one units above since they come with LED fixtures (not the strongest, but can usually are able to sustain a few low-light species. If you are setting up a tank from scratch and want to keep live plants, I suggest the NICREW Classic LED. It’s a great beginner light (and extremely affordable), so you won’t feel bad about upgrading later on if you decide to get into some harder plant species. Additional Reading: If you’re serious about keeping live plants, check out our complete step-by-step guide to setting up a planted aquarium. 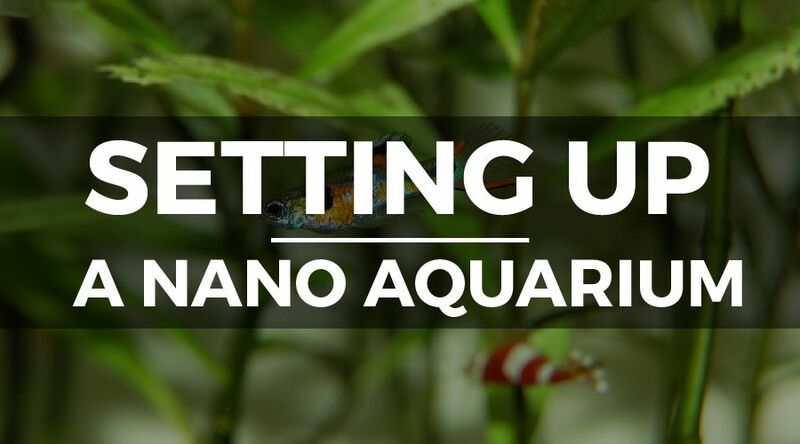 If you take away one this from this guide, let it be this – maintenance is extremely important when it comes to keeping a nano aquarium. 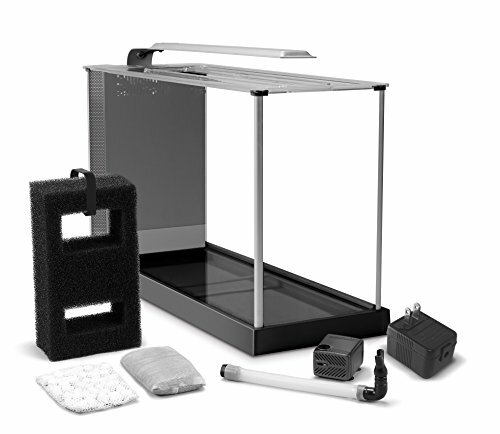 Many people believe that nano aquarium are easier to keep than larger aquariums, but this couldn’t be further from the truth. Since nano aquariums have such small water volume, they are susceptible to large parameter fluctuations (even from slight changes). A faulty heater can cook your fish in a matter of minutes, whereas a larger tank would take hours to heat up. As a result, it is important to keep up with water changes and testing. I recommend weekly water changes if possible. Make sure you only add dechlorinated water to your tank (since you definitely don’t want to poison your fish). A lot of people in the fish-keeping hobby have a “bigger is better” mentality (don’t get me wrong, large tanks can be awesome). In my opinion, though, a 5 gallon setup can be just as beautiful and enjoyable as a 50 gallon setup – especially with the amount of small freshwater fish out there. Just remember – don’t overstock your tank, feed lightly, and keep up with regular water changes! With the fish, shrimp, and plant suggestions on this list, you should have an amazing nano aquarium in no time!